I was suffering from urethral pain, discomfort in passing urine and urinary frequency for many years . I have seen many urologists and had many scan . Many courses of drugs and antibiotics did not give relief. 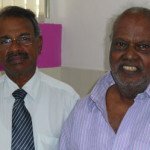 Finally I consulted DR N Anandan who made the correct diagnosis of URETHRAL STRICTURE after a simple xray called Ascending urethrogram. He treated me with endoscopic widening of narrow urethral passage without any cut..